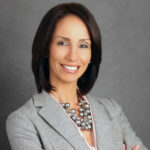 Rose Velez-Smith is Global Vice President, Human Resources Business Groups & Workforce Services at Pitney Bowes where she partners with the businesses to develop human capital strategies and works closely with senior management to implement strategic workforce solutions in the areas of employee relations, engagement and development, recruiting, talent acquisition, mergers & acquisitions and legal & regulatory compliance. Since joining Pitney Bowes in 2001, Rose has held a variety of leadership positions in Human Resources as well as holding the role of GM & Operations Director, PBMS. She resides in Norwalk with her husband Paul. They have three sons and two grandsons.